We’ve featured a lot of nifty power banks on TNW Deals, but this one’s truly special. 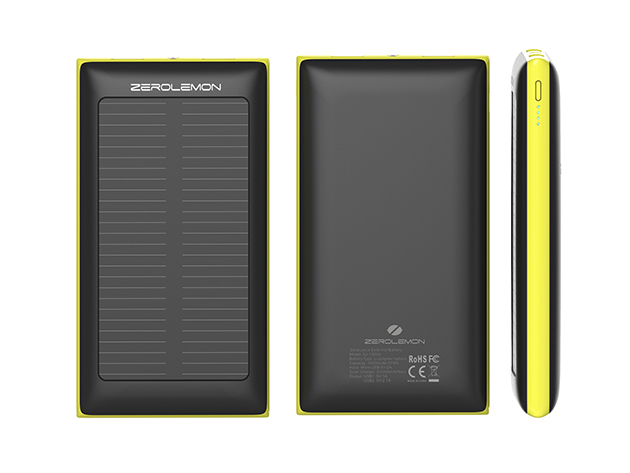 The ZeroLemon SolarJuice packs a powerful 10,000 mAh battery for all your mobile charging needs, and can recharge itself with the power of the sun! The SolarJuice includes a 2A USB port for charging tablets and a 1A port for your phone, as well as a powerful 1.2W monocrystalline solar panel to replenish its large battery. It’s also built to survive the elements: The SolarJuice is rain-resistant, anti-explosion and shockproof — and it’s small enough to easily carry with you in your pocket, purse or backpack. Plus, it’s handy built-in LED flashlight is easily accessible for use in the dark. Whether you need to recharge on a busy day or want to be able to use your gadgets in the great outdoors, The ZeroLemon SolarJuice is the perfect companion. And it’s only $26 at TNW Deals! Order now and get it shipped free in the US.